Editor’s note (9/12/18 at 3 PM ET): This piece has been updated to include a statement from JUUL. Do you vape, bro? Well, unless e-cigarette makers can prove they’re fighting against the marketing and sale of their products to underage users, the devices might be a lot less ubiquitous. In the letters, the FDA gives manufacturers, including JUUL, just 60 days to demonstrate that they can keep the nicotine-infused products out of the hands of minors. If the companies don’t succeed, the administration could ban candy-like flavors like mango and crème brûlée, which the FDA sees as particularly appealing to teens. The vaping gadgets’ popularity among teens has put government regulators in a bind: the devices may help adult smokers become less addicted to cigarettes, but they’re clearly also attracting new nicotine users among teens. School administrators and policymakers have said that they were blindsided by the popularity of vaping among teens. Earlier this year, the FDA collected reams of documents from JUUL to determine whether the company was deliberately marketing its sweet flavors to young people. It’s still reviewing those materials, according to the Times. 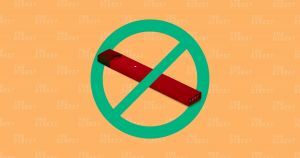 If JUUL and other e-cigarette makers can’t prove they have a plan to limit teen use, the future could be free of candy-like vape clouds.